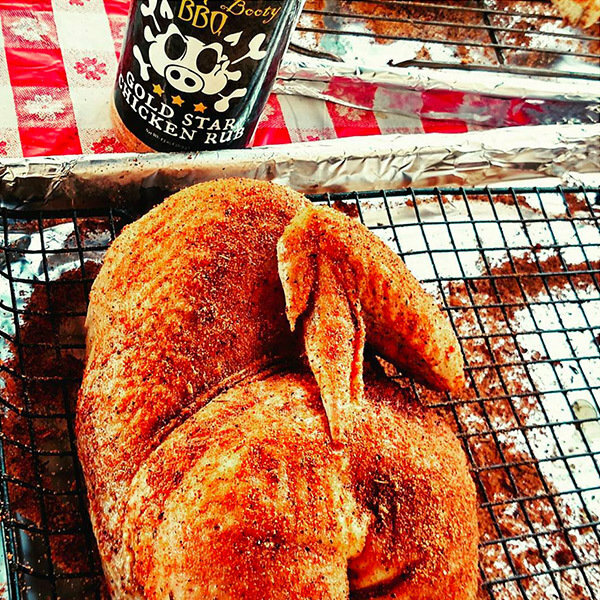 Loot N’ Booty BBQ Gold Star Chicken Rub was inspired by LNB BBQ’s first place chicken call at the 2014 American Royal World Series of Barbeque Invitational. Sterling and Molly received a perfect 180 score in chicken, competing against 165 grand champion-winning teams. Since that time, Loot N’ Booty BBQ has received five other perfect 180 scores to date in chicken. Gold Star Chicken Rub is an herby-salty concoction that brings all poultry to another level, in competition and beyond. Earn your star today!